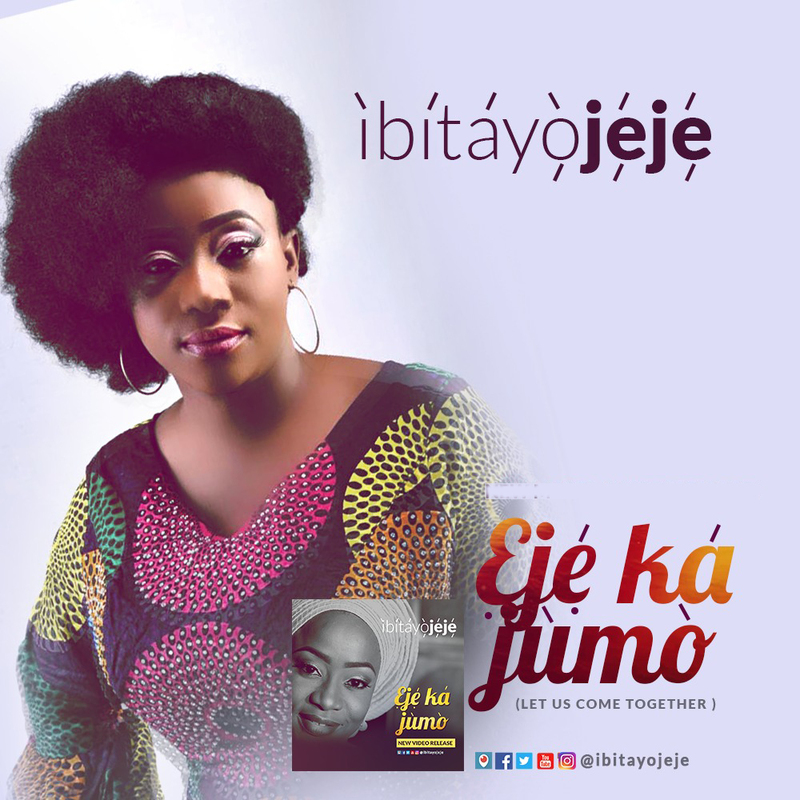 Highlife Queen, Ibitayo Jeje, releases yet another thrilling gospel music titled “Eje ka Jumo” produced by Bode Afolabi. The dazzling lady music minister, mother, wife and an inspiration to many, the queen of Nigerian highlife as she is known by many has cooked up this uptempo hit, which is capable of getting you off your seats any time and day. She is well known for her talented and precise delivery in African (Yoruba) indigenous music, which is well evident in this track, the beauty of the african music and language, Yoruba precisely from the western part of Nigeria is well portrayed, a splendid work of art by Queen Ibitayo Jeje herself. Ibitayo Jeje conveys a clear message in this one, telling of God’s wonderful nature and His creative ability. The song “Eje ka Jumo”, is sung in Yoruba language, and by implication would mean “Let’s come together and praise the Lord” She leads in this danceable track to rejoice in the goodness of God, his grace and complete protection. Only a fool will say there is no God, she teaches us to be conscious of God and stay thankful always. God is the great and mighty one, and the believer who seats at His right hand is forever safe, kept in the hollow of the Hand of God. In this and more we are to be forever grateful to God, He never charged for any of this. All we can do is be grateful. This is a song for every moment, can be rocked in and out of the church walls, veery healthy to move to, joyful atmosphere it creates, but of course, The queen never fails to deliver.